Ottley's Plantation Inn - Caribbean & Co. 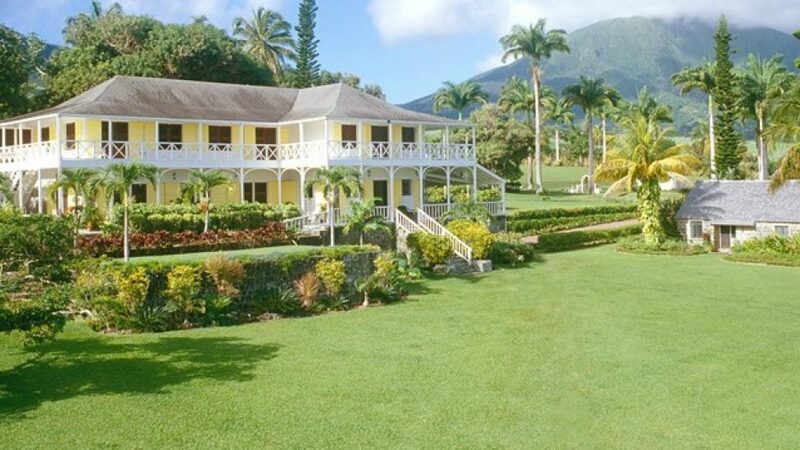 Originally a 17th-century sugar plantation, Ottley’s Plantation Inn is set on 35 acres of lawns and tropical gardens with panoramic ocean and mountain views. A spring-fed swimming pool and gourmet restaurant are set in stone ruins of the sugar factory. The Mango Orchard Spa cottage overlooks the rainforest ravine with a walking trail, where monkeys run along mango and palm trees. Guest rooms are in Great House and cottages, some with private pools and Jacuzzis. Though Ottley’s Plantation Inn is situated in the country at the foot of the majestic Mt. Liamuiga, a daily shuttle takes guests to beaches and the capital of Basseterre. The romantic setting and friendly atmosphere at Ottley’s is ideal for those seeking a quiet holiday in gracious surroundings. The intimate, historic setting is also ideal for a memorable wedding, honeymoon, reunion or retreat. Ottley’s Plantation Inn is a magnificent Caribbean hideaway with breathtaking views of the Atlantic. It is a perfect, restful spot for travelers seeking a retreat from the hectic pace of daily life. The unique and special rooms draw visitors back time and again to recreate some of their fondest memories.